Our company, Hammertown Construction is headquartered in Narvon, PA. For three years now, we have been a pace-setter construction service provider serving Philadelphia, Norristown, Flourtown, Berks County and Montgomery County. We also serve Pennsylvania, Maryland, and New Jersey. Our company works with a dedicated team of construction experts who are always ready to meet if not exceed your horse barn needs. Hammertown Construction has helped residential and commercial customers to make historical restorations and construct horse barns, riding arenas,sheds and specialty buildings. 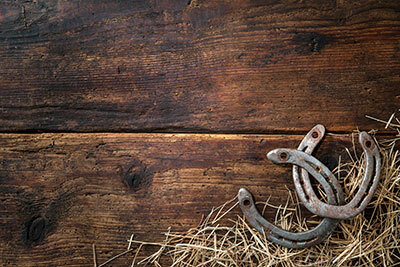 What makes us stand out from other horse barn builders? Unlike most of the barn construction companies out there, we employ a personal approach in every service that we deliver. Our development experts are licensed and have a wealth of experience in all the construction services we provide. In our personal approach, our talented craftsman will listen to all your needs as the initial step before we start a project. You can feel free to explain all the details regarding your project and the final results you are looking to achieve. Afterward, our experts will help you bring your vision to life. Our scope of work engulfs both straightforward and complex projects. Here is a list of our services. Our historic barn restoration services are meant to preserve our history and tradition, architectural conservation, reverse decay and reinforce permanence of historical structures. We preserve buildings because they help us to keep the memories of those who existed before us. Our construction experts work following the United States Secretary of Interior's standards to preserve the original features and characteristics of a historical building. Besides restoring a building's traditional looks, we upgrade plumbing systems, electrical systems, and other systems to ensure that they function appropriately. Our experts use modern technology that conceals the heritage value of a structure's interior and exterior. Our restoration services include preservation by maintenance and repair, rehabilitation to prevent a building from deteriorating, recovery and reconstruction. 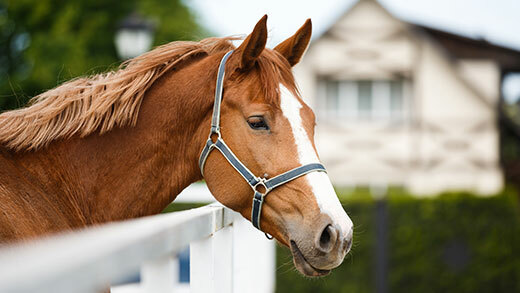 Caring for horses is a challenging task. However, most horse owners understand that it is a worthy effort. If you have been facing an issue of properly housing your horse, then Hammertown construction is here for you. 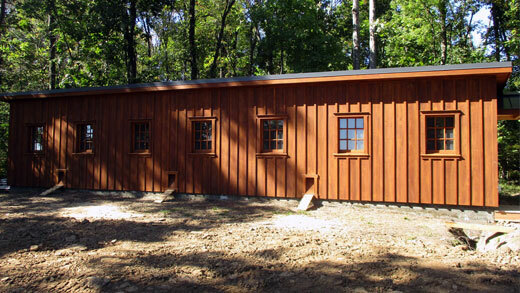 Our barn construction experts will help you design a safe horse barn that suits its use while matching with the architectural design of surrounding buildings around your home or out in the fields. The final product will be a creatively designed horse barn that withstands the test of time and the abuse inflicted by horses on a building. Our construction materials are of high quality, hence will serve you for long. We are experienced in small, medium and large size horse barns. Here at Hammertown Construction we construct customized riding arenas at a cost friendly price for our customers. Our primary design lacks internal pillars or posts to give you more riding space, a feature that makes horse riding more enjoyable. Depending on your budget and preference, our Hammertown Construction experts will help you choose a material that suits your construction needs. Most of our riding arena projects are made of steel or laminated wood. We can customize your riding arena according to your preferred architectural design, we make it dust free, and we design it to utilize natural light. Do you want to give your structure a traditional yet elegant look? If this has been your aspiration, then we have the solution. Our company, Hammertown Construction, ensures that you receive a building that suits your exact specifications. We at Hammertown Construction have all the equipment and expertise required to fit and join the large wood and beams often used in framing. The aftermath of our job will be a complete structure with the aesthetic value you have always longed for. Besides the aesthetic appeal, our framing is also durable and can withstand the normal wear and tear resulting from inclement weather and other elements. Also, we renovate frames that are worn out. We employ the latest technology to preserve your property's legacy, beauty, and strength. Most homeowners confess that one of the issues they face is a lack of space to store equipment like hand tools, farm equipment, and animal feeds. As a result, they are forced to store their items in their houses or animal barns. Call the specialists at Hammertown Construction for help. 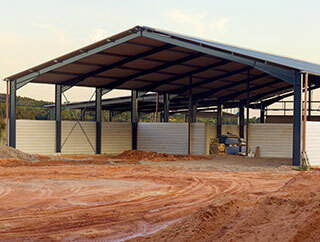 After hiring us, we will construct a shed where you can store all tools and other bulk equipment and goods. We only use quality materials that last for years to come. 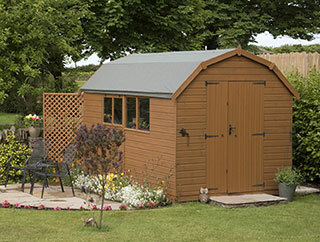 Our experts have the necessary skills to build sheds for commercial or domestic use. Do you have a particular design in your mind or one that you have seen elsewhere and you want us to build it for you? Well, the experts at Hammertown Construction have the construction skills required to make your thoughts a reality. We help our clients to construct specialty buildings that will suit your individual needs. Contact us today restore your historical barn or to build the barn you’ve always dreamed of.